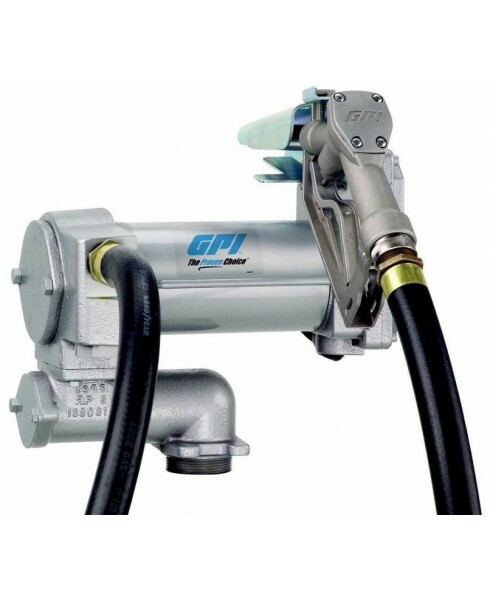 The GPI M-3025CB-ML 133265-03 is a 12-Volt DC Heavy Duty Vane Pump. This 12 volt electric pump is capable of delivering product up to 25 GPM (95 LPM). Includes 18' hose and Manual leaded nozzle. Compatible with gasoline, gasoline with up to 15% alcohol blends such as E15, diesel, diesel with up to 20% biodiesel blends such as B20, kerosene. This pump is intended to be ground-based or vehicle mounted.